Metallic liquid lipsticks have been so on trend lately and one of the first ones I've tried is the Kylie Cosmetics Metal Matte Lipstick in Reign. It's described as a "deep metallic copper" and it's more on the brown side instead of orange. Think of a new US penny but a bit darker and more metallic and that's what I see in Reign. I'm normally a matte or cream lipstick kind of person and I don't even like shimmery products, but there's something about the metallic finish that I love and apparently want all over my eyes and lips. 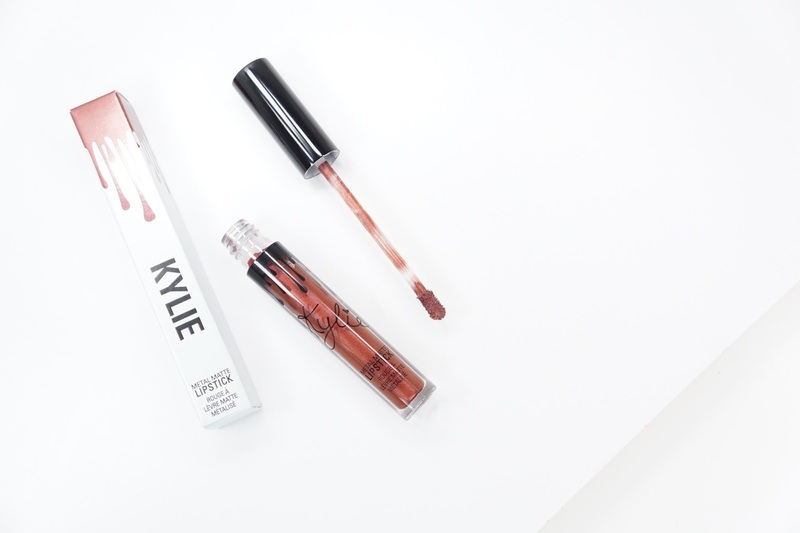 Reign contains 0.11 ounces / 3.00 mL of product and retails for $18 on the Kylie Cosmetics website. Even though it has a metallic finish, it doesn't feel gritty and it's actually really smooth. Compared to the Milani Amore Matte Metallic Lip Cremes, the shimmer in Reign is more noticeable. 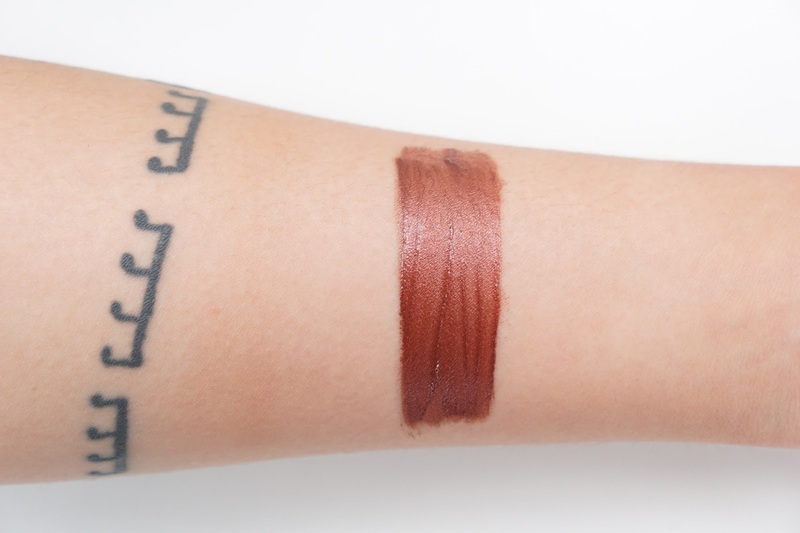 On the lips (and even on the arm swatch), I did have to apply 2-3 layers to get it fully opaque. It doesn't look patchy, but it is a bit on the sheer side. It doesn't set as fast as Kylie Cosmetics matte liquid lipsticks and so it is easier to layer on and reapply. I've tried other metallic liquid lipsticks since this purchase and Reign has more of a shine and doesn't set down like a liquid lipstick. In the face shot below, that is pretty much what it looks like when it sets. For the shine, think of the shine from cream lipsticks instead of the shimmers from the Metallic part of this formula though. Compared to the Kylie Cosmetics original liquid lipsticks, Reign does feel more moisturizing but it doesn't last as long. It does last for a very long time though and so I'm fine with it transferring. I didn't see any smearing or feathering either and for my dry lips, I prefer that extra big of moisture you usually have to give up for longevity. When I remove Reign at the end of the day, there isn't a stain but I do get some shimmers that like to cling onto my lips. It's not bothersome, but it might something to note for some people. Another thing to note - the fragrance. It smells like a very sweet cupcake and then a hint of chemicals. It does bother me but since it goes away once I apply it on the lips, it's also something I can put up with. Milani's metallic lipsticks also smell pretty similar. Final thoughts: I'm really digging Reign! It's comfortable to wear and the metallic finish is also surprisingly wearable! To some, it might look like I'm bringing back the frosty lips but now making it more intense. The color itself is unique to my collection but it combines some red, brown, and orange into one shade and so it kind of fits perfectly with what I have. The biggest con for me is the smell because it's a touch too much, but I would still buy more colors because the formula is great. 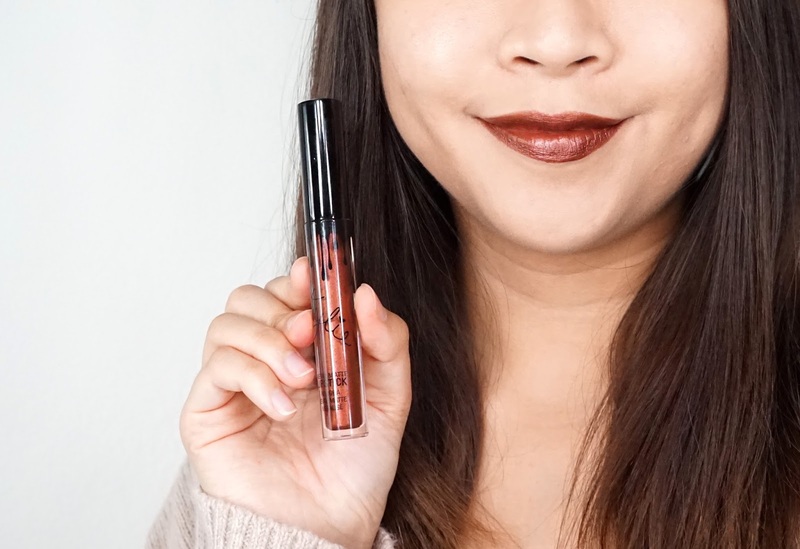 Have you tried metallic liquid lipsticks? What do you think about this trend?